Arrive to Greece, the land of mythical Gods and ancient civilization. 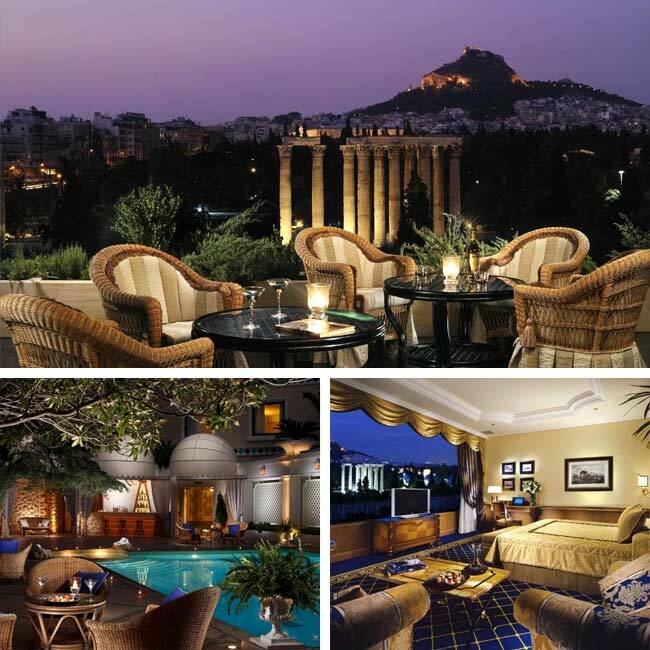 Your private driver will pick you up from Athens International Airport and take you to your five-star hotel. 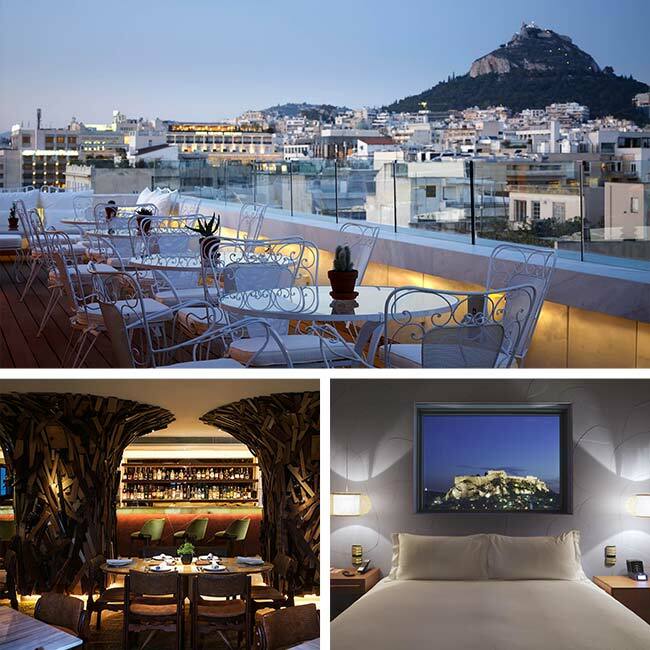 Enjoy your afternoon and evening exploring the vibrant culture and nightlife of Modern Athens. Ask your Leisure Travel Consultant for recommendations of their favorite restaurants, cafes and entertainment. In the morning, your licensed English-speaking guide will meet you at your hotel lobby, to begin your tour of the new Acropolis Museum. Afterwards, you will have the opportunity to explore the Acropolis and its timeless temples of the Parthenon, Erectheion and Athena Nike. Walk up to the Hill of Philopappus to see the impressive funeral monument from the Roman era as you appreciate the widespread views of Athens and Piraeus. Subsequently, walk down to the hill of the Pnyx, an area used in Classical Athens as the meeting place for the democratic assembly. You can later enter the historical Plaka area, close to the Thiseion temple, dating back to the 5th century BC. Meander past the ancient Agora and its remarkably restored Stoa of Attalus, Hadrian's Library, and the picturesque Tower of the Winds. The return route takes you over the Hill of Mars, also known as Areopagus, where Saint Paul preached his Sermon on an unknown God, as recorded in the Acts of the Apostles, in 54 A.D., which is directly below the Acropolis. Continue your tour to the Odeion of Herodes Atticus, still used today as a summer venue for open-air concerts and theatrical performances. The last stop of the tour will be at Syntagma Square, where you will witness the changing of the Guards, at the Tomb of the Unknown Soldier, right below the Parliament building. 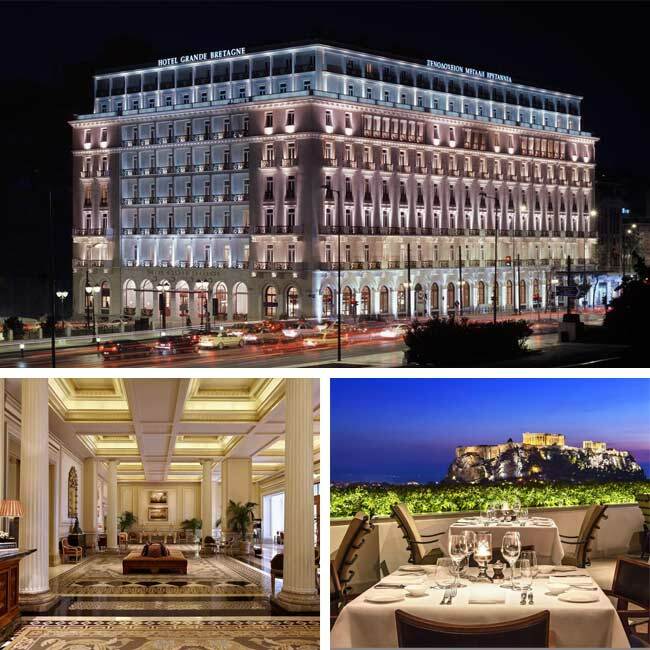 Enjoy a day of leisure by exploring modern Athens. Ask your leisure travel consultant for recommendations of ideas, day trips, excursions and activities to do while in Athens. After breakfast, your private driver will pick you up from your hotel to begin your 4-day tour of Greece's Mainland. Start by travelling along the Saronic Gulf's coastal road towards the Corinth Canal. Before the canal was built, ships used to sail between the Aegean and Adriatic Seas by circumnavigating the Peloponnese, adding an additional 185 nautical miles to their journey. Visit Ancient Corinth where St. Paul spoke to the Corinthians before driving across the Peloponnese, to reach the city of Sparta, the hometown of Leonidas which was popularized by the movie 300. You will have the opportunity to see Leonidas statue along with the remains of the palace and theatre. After visiting Sparta, head for the capital of the Byzantine Empire, a little town known as Mistras, full of churches and monasteries. End the day at your final stop of Olympia, where you will stay the night. Your second day of exploration on the Peloponnese peninsula begins in Ancient Olympia, which gained its fame as the sanctuary of Zeus and Hera and contains a wealth of other small shrines, gymnasiums and sculptors' workshops. According to history, Ancient Olympia was the site of the Olympic games in classical times, founded in 776 B.C. Today, the Olympic torch is still lit here, before travelling to where the modern Olympics are hosted. While visiting the museum, pay close attention to the exhibits of unique sculptural masterpieces, such as Praxiteles' Hermes, Paeoneus' Victory, and Apollo. Your journey from Olympia continues by crossing the newly built bridge near Patra, exiting the Peloponnese, as you head towards the quaint village of Arachova. Relax in the evening with a nice dinner at a local tavern and wander through the streets as you explore this mountainous town. After breakfast, spend your morning exploring Delphi's archaeological site and impressive museum, which was once considered the center of the universe, best-known for the oracle at the sanctuary and later dedicated to Apollo during the classical period. After visiting Delphi, continue towards Kalambaka, stopping along the way at historical Gravia, where Odysseus Androutsos, with a team of 100 men stopped 8 thousand Turks. Its noted in history that over 400 of Turks died, while Androutsos lost only 2 of his men. Make a pit stop for coffee in the town of Domokos, before ending the day at your hotel in Kalambaka. Start your day by visiting Meteora, a unique and impressive site with ageless monasteries perched on top of huge monolithic granite rocks, with unforgettable views. Explore three of the monasteries, suspended between the earth and sky, containing priceless historical and religious treasures, as well as many pieces of Byzantine art. On the return trip to Athens you will stop again in Domokos for coffee or lunch, before visiting the giant statue of Leonidas in Thermopiles, which was popularized by the movie 300, where the Persians battled against the vastly outnumbered Greeks for three days. Although it was clear that the Persians were going to win, Leonidas stayed and fought the final battle with only 300 men from Sparta. The last stop on your journey will be at the beachside town of Arkista, before returning to Athens to catch your flight to Crete. Upon arrival, a representative will be waiting to transfer you to your luxury hotel. Enjoy a relaxing day on your own or take a private half-day tour of Knossos Palace. Your driver will pick you up from your hotel and transfer you to the main center of the Minoan Civilization, before visiting the Archeological Museum of Heraklion. Continue your exploration through the city with stops at the Old Port, the Venetian Walls, the Municipal Market, the Castle or Koules, museums, churches, fountains, and shops of your preference. Spend a day relaxing at one of Crete's endless turquoise beaches or explore the deep history and culture of the island. Ask your travel consultant for recommendations of their personal favorites. After breakfast, you will be transferred to the Heraklion airport, to connect with your departure flight via Athens International Airport. Hotel Europa was built overlooking Ancient Olympia, with idyllic views of the Arcadian mountains and the paradisiacal valley, lying between the two rivers of Alpheus and Cladeus. The hotel's warm aesthetics and inviting design help to provide a peaceful and relaxing feel during your stay in Olympia. All rooms and suites exemplify the balance of the area's heritage with modern amenities, making it a perfect option for unwinding by the pool and soaking up the Greek sun. Nafsika Palace is ideally located in the heart of Itea, a quiet picturesque coastal town at the foot of mount Parnassos. The 4-star hotel is within easy reach of the beaches at both Itea and Galaxidi and provides guests with a relaxing retreat after a day of sightseeing. The charismatic hotel’s spacious 85 guestrooms were recently renovated with a contemporary design and a touch of French elegance, providing modern interiors and comfortable amenities with floor to ceiling windows. 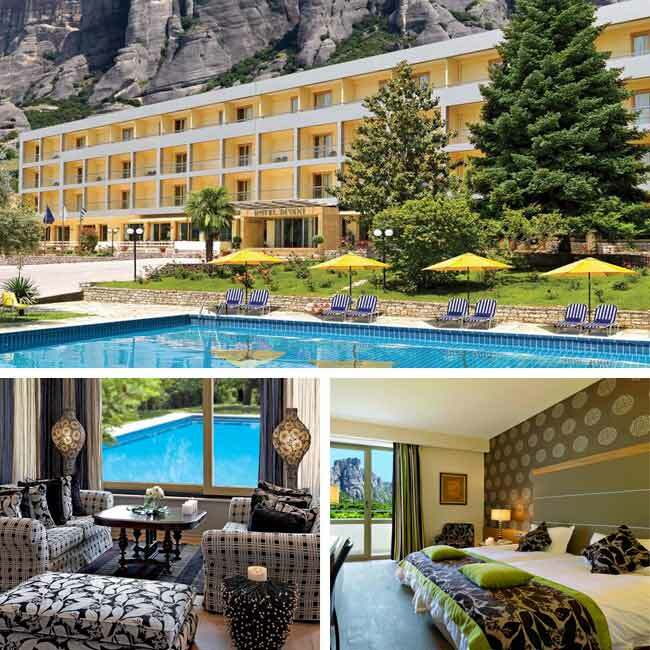 Divani Meteora Hotel is a fully renovated luxury hotel located in the quaint village of Kalambaka, surrounded by the magnificent rock formations of Meteora and its amazing dramatic landscapes. All guestrooms and suites offer a blend of tranquility and elegance with a tasteful décor of muted shades against a cream background. The palatial hotel also boasts picturesque gardens, a swimming pool, spa, fully-equipped fitness center and a first-class restaurant serving an excellent cuisine of local and international dishes. Nestled between the famed coast of Elounda and the relics of storied Spinalonga Island, Blue Palace Resort and Spa is the perfect hideaway combining island luxe accommodations with breathtaking views of the Aegean Sea. A resort of exceptional charm, architecture and style, it provides premier facilities, unbeatable service, and a romantic atmosphere. A luxury beachfront hotel in Crete, Blue Palace Resort and Spa offers a soothing retreat on one of the most enchanting islands. 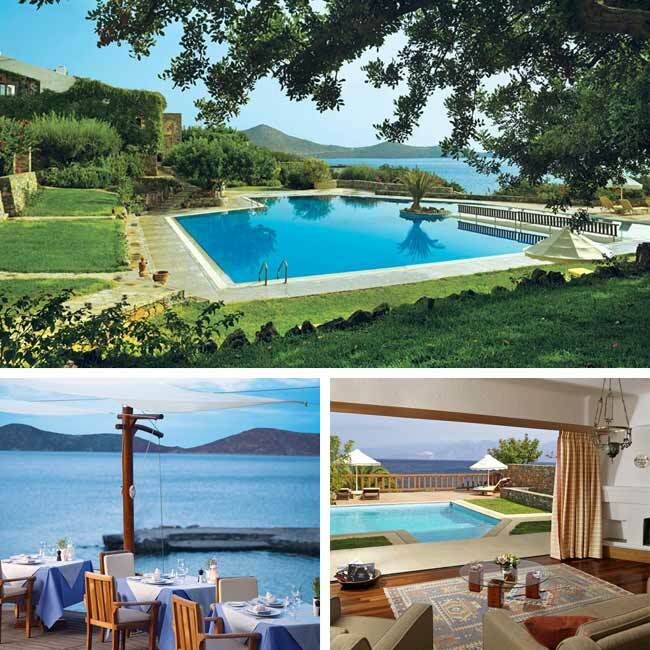 Elounda Peninsula All Suite Hotel is one of the most exclusive hotels in Elounda. Positioned on a peninsular stretch of land, it enjoys an outstanding location overlooking the Bay of Elounda, Mirabello Bay, and the expanse of the Aegean Sea. Founded on a tradition of excellence by services unparalleled in Greece, the dedicated staff offers in suite dining, private training, spa treatments, and children's care, making it a top choice for luxury hotels in Crete. Built as a Cretan mansion, the Elounda Mare Hotel is a jewel of traditional architecture and design, with gems of antique furniture and artwork adorning the halls and accommodations. Each lounge and open space reflects the integrity of style and originality of expression that make the hotel so adorable. It is no wonder that many guests consider it their home away from home, and their favorite choice for a luxury hotel in Crete. On Europe's southernmost island is a resort designed to cover your every need in the lap of luxury. A seaside paradise in an extraordinary setting, Porto Elounda Golf & Spa Resort offers its enormous variety of services in a unique local atmosphere and ambiance. 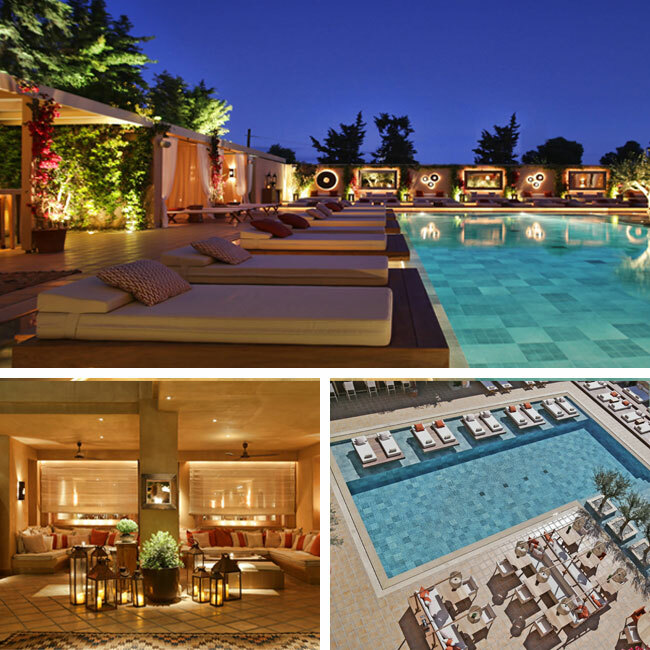 This luxury hotel in Crete inspires new experiences and feelings and leaves wonderful memories and emotions to all. This is Elounda; a little corner of the world that will endear you like no other. Casa Vitae Luxury Suites is a renovated old Venetian house built in the late 16th century. Located in the heart of Rethymno, with an ideal proximity to museums, shops, restaurants, cafés and entertainment. 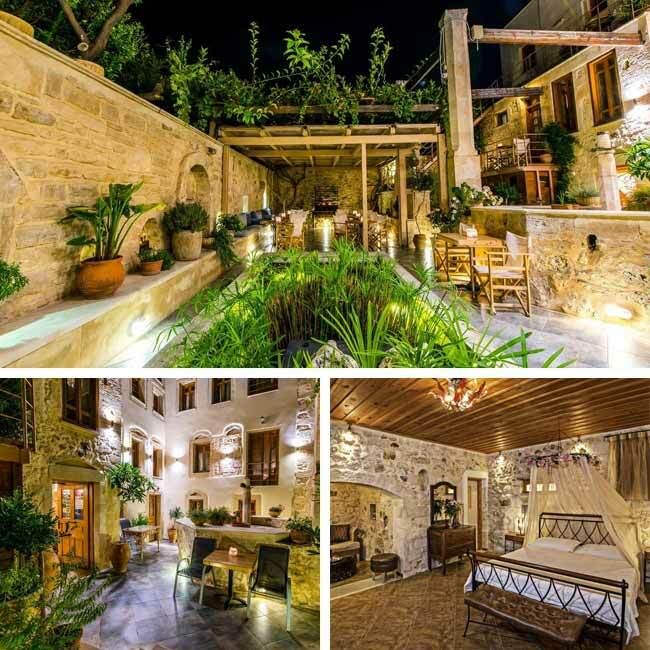 Having its very own Venetian courtyard and unique style, Casa Vitae Hotel is one of the very few detached buildings in the old town where guests can relax, while enjoying their breakfast during their stay at this luxury hotel in Crete. Journey to Rome, the Eternal City, with its enchanting history that spans nearly three millennia. Stay three nights at one of our hand-selected luxury hotels as you experience Imperial Rome on your half-day tour of the city, including the Coliseum, the Roman Forum, Capitol Hill, and more. Spend your last day of leisure enjoying Italian food and wine or take an optional tour of Vatican City. 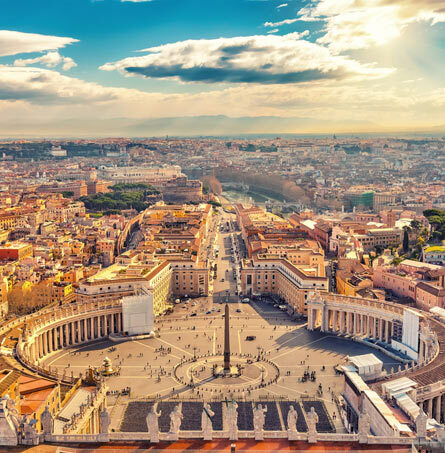 Your three nights/four-day extension in Rome includes roundtrip airfare from Cairo to Rome, private transfers, hotel accommodations, private tours, and local assistance. Travel to Istanbul, the crossroads of Europe and Asia. Spend three nights at one of our top selected luxury hotels, with spectacular views. Explore the Ottoman and Byzantine Relics of the city on a full-day tour, Hagia Sofia, the Blue Mosque, the Grand Bazaar, the Hippodrome, and Topkapi Palace. Enjoy a day of leisure where you can experience the local culture or take a trip up the Bosphorous. 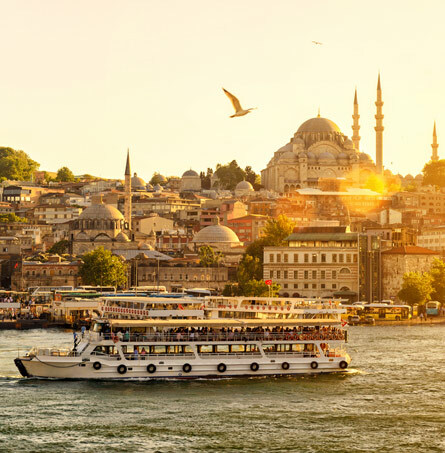 Your three nights/four-day extension in Istanbul includes roundtrip airfare from Cairo to Istanbul, private transfers, hotel accommodations, private tours, and local assistance. We have been so busy since we got back from our Greek vacation, but I just wanted to take the time to let you know how pleased we were with our vacation. First of all---THANKS a million for Takis!! He was great and was the perfect guide for us. Not too much information, just enough and he was always able to answer any questions that we had. He allowed us time where we wanted extra time and he was ready to move on when we were ready. All of our accommodations were perfect---each of our hotel rooms had a balcony with an incredible view (one of our requests) and the staff at each hotel was very accommodating and eager to make everything perfect. I think we must of had the best room at each of the hotels--I can't imagine it being any better! At Hotel Europa (the one in Olympia) the owner was in the lobby when we arrived, he immediately recognized Takis and although a bus was checking in he (the owner) personally got our room key and we didn't have to wait. The front desk staff and daily housekeeping staff at Elounda Mare were exceptionally friendly and our "bungalow" was amazing--so amazing that we left the resort only once for about 3 hours! HAHA!! I could sit on that balcony forever--it is so peaceful and the view was like no other! We were very tired from the mainland tours so Crete was the perfect ending of the vacation-- perfect for doing nothing, just enjoying the quiet and the time away from our stressful jobs. The Athens airport hotel was awesome also---I know that sounds crazy, but we couldn't believe how quiet the rooms were. 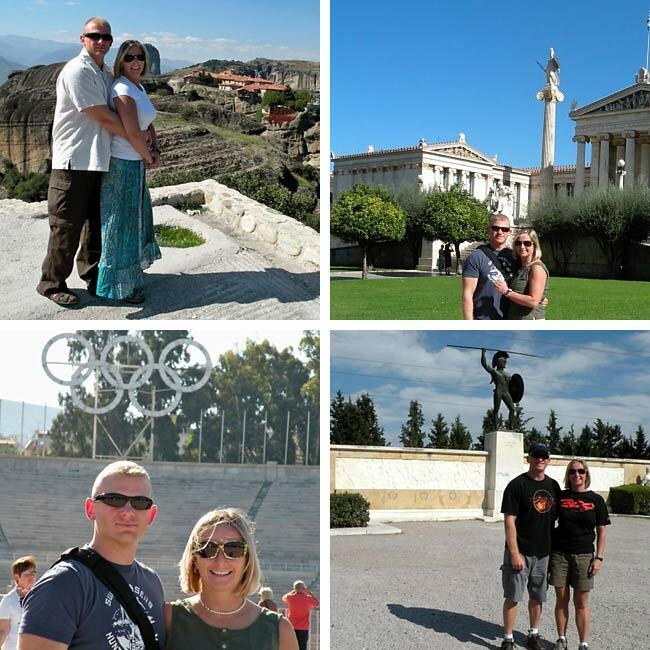 I really believe October is the time to visit Greece---most of our photos have few people in the background and we didn't have to wait for anything anywhere! We are so glad that we decided to do the private tour instead of bus tours--we saw more of what we were interested in and didn't feel like we were wasting any of our precious vacation time. Thanks also to your office for changing our flight from Crete back to Athens (we got an earlier flight so we would have more time to sleep for our international flight the next morning). It was really nice to know that your office is "right there" in case we needed anything, but it was even more wonderful that we didn't need anything the entire 10 days---Not one thing would I have changed! Thanks to you, your office and all of your hotel affiliates for a perfect vacation! I will send another email with a link to our photos--we took over 700. Please complete the form below to receive your personalized vacation quotation. 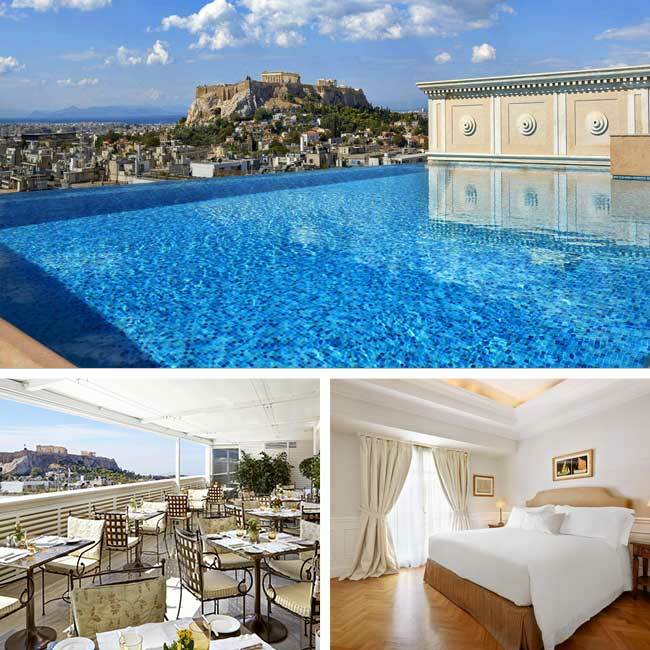 A Travel2Greece specialist will contact you to begin planning the vacation of your dreams!